Twill Jogger Pants in Slim Fit. These men’s twill jogger pants are designed in the classic jogger fit with gathered ankles. 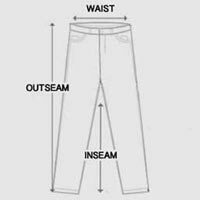 Slim fit joggers include front and back pockets and elasticized waist with black drawstring tie. Cotton twill fabric is lightweight with light stretch, so you’ll get the same comfort of joggers with the smart look of pants. For an effortlessly cool look, these twill jogger pants for men will easily match with any casual piece. Available in Red and Khaki.